Tobacco, Alcohol, Drug Advertising Banned. 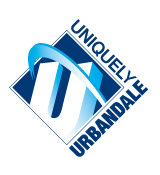 The Urbandale Community School District has adopted curriculum to educate students about the dangers of tobacco, alcohol and drugs and has adopted disciplinary standards banning the possession, use and distribution of tobacco, alcohol and drugs. The District has also implemented a student assistance program to provide positive interventions for students who may be affected by abuse of tobacco, alcohol or drugs. In furtherance of these programs and standards, the District prohibits students from wearing any article of clothing or jewelry or carrying any personal belonging which contains words, insignia, logos, caricatures, or other symbols which advertise any product or service not permitted to minors by law. This shall apply both to students who are minors and to students no longer minors. Such prohibited material includes, but is not limited to, buttons, badges, shirts, notebooks, book bags, and gym bags. This policy specifically prohibits any advertisement of alcohol, beer, tobacco products, or drugs. Gang Insignia. In order to preserve the good order of the school environment, students shall not wear clothing or jewelry or carry any personal belongings which contain words, insignia, logos, caricatures or other symbols which are indicative of gang membership or gang activities. School Order. Students shall not wear clothing or jewelry or carry any personal belongings which materially and substantially interferes with the good order or health of the school environment. This includes but is not limited to items which contain lewd or profane depictions or words.